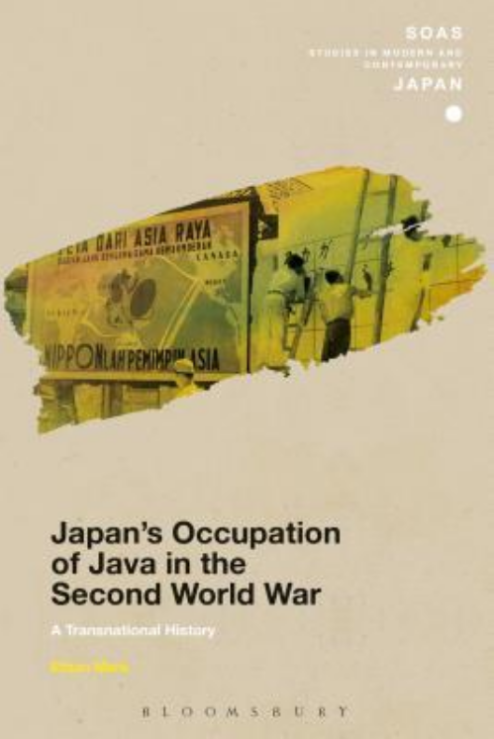 Book Announcement: Japan’s Occupation of Java in the Second World War: A Transnational History | What can I do with a B.A. in Japanese Studies? Japan’s Occupation of Java in the Second World War draws upon written and oral Japanese, Indonesian, Dutch and English-language sources from both wartime and the postwar period to narrate the Japanese occupation of Java as a transnational intersection between two complex Asian societies. It places this narrative in a larger wartime context of domestic, regional, and global crisis that was not only military, but also social, cultural, and economic: a crisis of imperial and liberal capitalist modernity itself. Japan’s occupation of Java is here revealed in a radically new and nuanced light, as an ambiguous encounter revolutionary in the degree of mutual interests both practical and psychological that drew the two sides together, fascinating and tragic in its evolution, and profound in the legacies left behind. Mark structures his study around the diverse group of propagandists, interpreters, advisors, teachers and students – mostly members of the nation-building subelites or middle classes – who were most captivated by the wartime vision of a ‘Greater Asia.’ The book is thus not only the first transnational study of Japan’s wartime occupation of Java, but the first study to focus on the Second World War experience in truly transnational terms ‘on the ground’ anywhere in Asia. The volume offers both nuance and sweep in bringing together two profoundly distinct national histories, relating the hitherto unknown story of a diverse, transnational cast of characters from before the occupation through to its end. Breaking new ground interpretatively, thematically and narratively, Mark’s monumental study is of vital significance for students and scholars of modern Asian history. This entry was posted in announcements, culture and tagged book announcement, books, international relations, Japan, Java, modern, modern history, modern Japan, WWII. Bookmark the permalink.